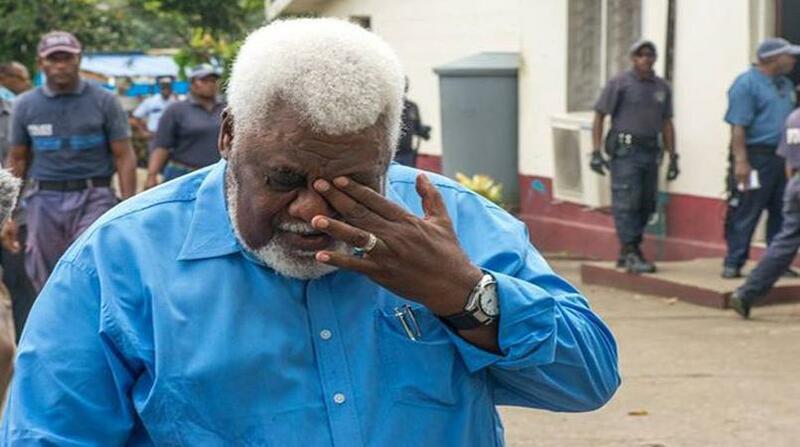 Willie Jimmy was yesterday removed as Vanuatu's caretaker finance minister and with 14 jailed politicians banned from holding public office for ten years. Supreme Court Justice David Chedwynd had granted a prosecution application that the Leadership Code be invoked. All 15 men were convicted on bribery and corruption charges in October with Jimmy the only one not jailed - he was given a suspended sentence after pleading guilty. The court also granted the prosecution's request that parliamentary entitlements paid to the politicians cease. However our Vanuatu correspondent Hilaire Bule reports that the gratuity payments, which are made to MPs at the end of a parliamentary term, have already been paid to all 52 members of the outgoing parliament, including the 15 convicted former MPs. Bule says last Friday the jailed politicians were seen being transported to Port Vila banks in prison buses after receiving the gratuities.